This beautiful Graphic Luster Vase by Pols Potten is truly unique. 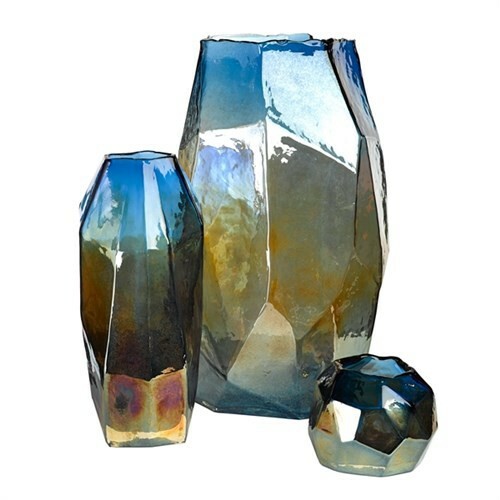 The peculiar shape and a palette of overlapping colors make this vase a beautiful and distinctive decorative piece. The many glossy color tones, including gold, copper and blue can be combined with many interior styles. With or without flowers, this 40.5 cm tall vase is a true eye-catcher! 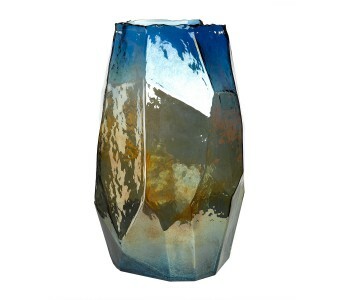 This beautiful Graphic Luster vase by Pols Potten is a feast for the eyes. 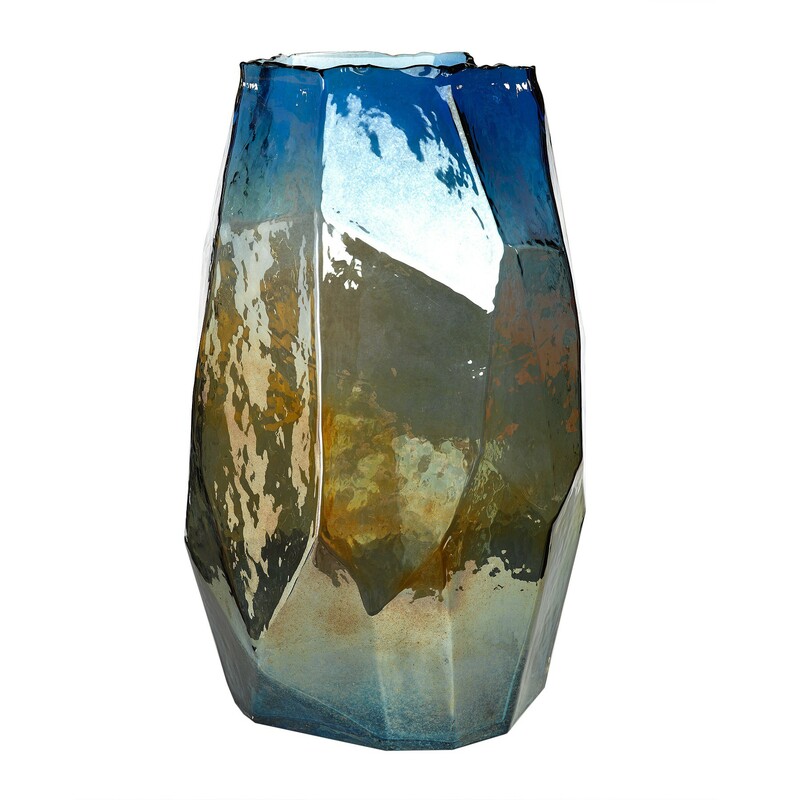 The unique shapes and almost mystical hues of gold, copper and blue make this vase of 25 cm in width and 40 cm in height a true decorative piece, suitable for any interior style. A beautiful gift for yourself or someone else. This vase is part of the Graphic Luster series by Pols Potten. This series consists of a tealight holder and two vases in different sizes: this vase of 40 cm tall and a smaller vase of 30 cm tall. All with the same distinctive look thanks to the different colors of glossy glass. As a result of the unique colors and shapes, a combination of Graphic Luster products feels like a coherent series in any interior.